When Windows 8 was announced, I was excited. That excitement turned a bit sour after I downloaded the developers preview and install the operating system for a few months on my laptop. It just doesn't work well, you have to dig to find out how to search, you have to dig to find out how to turn it off. No wonder PC sales are down 14 percent, and I am suprised to see that it wasn't more like 24 percent. 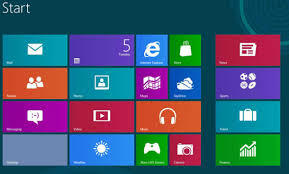 Windows 8 may have some really good features underneath the surface, but that terrible GUI has to go.